Not as much research has been done on Dysthymia as on Major Depression but there is support for a biological undertone as well as maladaptive ways of coping with the environment. Depressed mood for most of the day, for more days than not, and ongoing for at least two years. During this time, there must be two or more of the following symptoms: under– or over eating, sleep difficulties, fatigue, low self-esteem, difficulty with concentration or decision making, and feelings of hopelessness. There can also not be a diagnosis of Major Depression for the first two years of the disorder, and has never been a manic or hypo-manic episode. 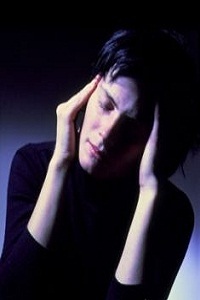 Similar to Major Depression, treatment could include medication and/or therapy. See above for additional information. This disorder is typically seen as more chronic than Major Depression, but less severe in terms of it’s symptoms.